Since 2002, Baltimore Woods’ Nature in the City program has linked urban schools with neighborhood green spaces through environmental education. 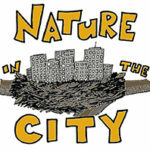 Nature in the City brings authentic, hands-on/minds-on natural science learning to K-6th grade urban school children. Now in its 17th year with the Syracuse City School District, this award-winning program is better than ever. Nature in the City lessons are relevant, meaningful and fun ways to learn science. Each participating classroom receives a series of three lessons throughout the year with a common learning objective and theme. The hour-long lessons are tied to the New York State Science Standards and have been tailored to support the Elementary Science Core Curriculum. Make or strengthen their connection to the natural world. Build scientific literacy through hands-on/minds-on activities that link their science curriculum to their surroundings. 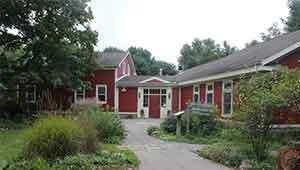 Develop sensible stewardship for their neighborhood green-spaces. Have hands-on/minds-on learning with minimal environmental impact. Each year, Nature in the City keeps 15 tons of CO2 out of the atmosphere! In order to bus K-6 students from the 19 participating Syracuse elementary schools to Baltimore Woods for the programs, over 34,870 tons of CO2 would be released. By bringing the same programs from Baltimore Woods to city parks and green spaces within walking distance of the schools, a mere 4,170 pounds of CO2 are emitted.